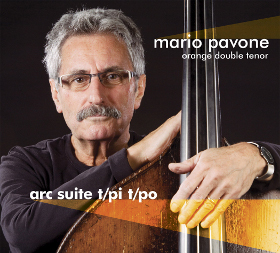 Bassist Mario Pavone is looking back on his life in music with his new album, arc suite t/pi t/po (Playscape Recordings, 2010). In this interview, Pavone talks about the changing role of rhythm sections in modern improvised music; his work in the visual arts, particularly painting and photography; and his “upside-down” approach to arranging. Learn more at www.mariopavone.com. Good work (as usual.) Mario Pavone is an excellent person and musician who has earned the respect and admiration of his peers but seems to fly under the radar of the mainstream jazz press.